ISO 27001 is an internationally accepted set of standards for information security management that helps organizations keep information assets secure. To maintain the certification, Hickey Smith underwent a stringent evaluation process and will continue to perform annual audits to ensure compliance and to assess initiatives for continued improvement. Hickey Smith is an established, worldwide leader in technology-driven, innovative legal services. Though ISO 27001 certification is not yet required for law firms, Hickey Smith is dedicated to protecting sensitive and confidential information. 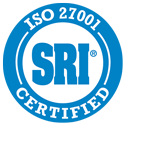 The firm recognizes that ISO 27001 certification dramatically increases the ability to detect and stop a security breach, and ultimately mitigates risk for the firm and its clients. Hickey Smith is a law firm purposely designed to deliver legal services with significantly greater efficiency, consistency, and added value. By deconstructing and refining traditional legal processes, applying workflow technology, and collecting and analyzing data, Hickey Smith is transforming the way legal services are delivered today. With an unrivaled combination of disciplined processes, technology expertise, and business leadership, Hickey Smith clients benefit from reduced total legal spend, improved quality, enhanced transparency, actionable insight, simplified management of outside counsel, and increased control. For more information, visit hickeysmith.com.